O.K. PG’ers, we’re headed down the home stretch for this coming Saturday’s Annual Holiday Party at Neil Saund’s Duplex. The address is 12966 Rubens Ave. It’s at the Southeast corner of Alla Rd and Rubens Ave in Los Angeles. A group of loyal members went to Neil’s house this past Sunday to set up, and the place is ready to go, including the roaring fireplace. Final setup will happen early Saturday, and the party will begin at 7PM, ending around midnight. Don’t forget, this is a pot luck, with the club supplying main dishes, including prime rib, Carbonnades a la Flamande (Beef & Beer stew), deep fried turkeys, and shrimp platters. Appetizers, salads, and desserts are welcome additions to the festive occasion. Seasonal side dishes such as sweet potatoes, hot veggies, turkey dressings, and the like have been brought in the past, and are guaranteed to be hits once again. We need volunteers for the clean up crews. Some night owls can help when the party winds down, and most will be needed Sunday morning, around 10AM. Please contact me at [email protected], Ian Fraser at [email protected], or Craig Corley at [email protected] if you are willing and able to help. Lastly, it is likely that the weather will be cool, and perhaps rainy (we sure hope not). Dress accordingly. We will have some canopies set up, should it rain, and heaters outside to keep us warm. Weather permitting, we will also have one or two fire pits going for your enjoyment. Our annual Holiday Party is rapidly approaching and it takes a lot of effort to put together. As with all our parties, we count on club members to volunteer to help out. There are a number of ways you can volunteer to help. We need help with set up and clean up, we need members to bring potluck dishes for our feast, we need members to donate beer and we need assorted equipment. On Sunday, Dec 6th at noon we’ll be meeting at Neil’s duplex to do an initial setup. We’re planning on setting up most of our equipment and decorating the house and our Christmas tree. Everybody who shows up is encouraged to bring a can or two of beer with them, we plan on emptying the cans and using the empty cans as decorations on our Christmas tree like last year. On Saturday, Dec 12th in the afternoon we’ll be meeting at Neil’s duplex to do final set up. On Sunday, Dec 13th at 11 am we’ll meet at Neil’s duplex to clean up alter the party. We always need lots of people to help with clean up and the more we get the faster it goes. The menu should reflect past Holiday Parties featuring Prime Rib, Carbonnades ala Flamande, roast & deep fried turkeys, spiced ham and much more! As is customary with our holiday parties, this is a potluck event, the club supplies the main dishes and we count on members to provide the side dishes, salads and deserts. So if you have a favorite family holiday recipe and want to share it with the rest of us, this is your time to shine! Please remember to label any dishes, utensils, etc. that you bring so that we can get them back to you. If you’d like to volunteer food for the party contact: Ian Fraser at [email protected] or Michael Steinberg at [email protected]. We also need beer for this event, lots of beer! Or mead! Or cider! We’re counting on you to provide it. So pull out your kegs and dig deep in your closet for those old tasty bottled treasures and bring them along! Please let us know what and how much homebrew you’re planning on bringing. Loaner kegs are available for those who are not so equipped. Any of you who have already volunteered kegs should drop them off at the shop by Thursday, Dec 10th or bring them to Neil’s Saturday afternoon before the party. We’ll be dispensing a lot of beer and will need more taps, jockey boxes and dispensing equipment than we currently have. If you can volunteer dispensing equipment, please let Carl know. Please remember to label any kegs or dispensing equipment that you bring so that we can get them back to you. Also, if anyone will be heading to Stone Brewing in the next week or so, let us know. We’d like to refill a couple of the 3 liter bottles to use as toasting beers. If you’d like to volunteer beer for the party, contact Carl Townsend at [email protected]. Any of you who will be volunteering equipment should try to bring it to Neil’s this Sunday, Dec 6th or Saturday, Dec 12th in the afternoon before the party. Again, please remember to label any equipment that you bring so that we can get them back to you. And finally, if you’re volunteering equipment, kegs or food, plan on picking up your items at the Sunday clean up. We really don’t have any capacity to store items that are not picked up. It is the house on the SE corner of Alla Rd. and Rubens Ave. Note: There are no Ladies Club or regular Club Meetings in December, both are replaced by the Holiday Party. The Holiday party is fast approaching and we need your help! The party is set for December 12th this year. Our summer party was a huge success primarily because of those of you who cooked a dish and brought it to the party! Our holiday party has always been the more traditional “pot-luck” of the two parties and so I am hoping all of you can come through for us again! The food is mostly traditional style holiday dishes, I expect we will see things like deep-fried turkey’s, baked ham, Carbonnades a la Flamande and prime rib served with sides like stuffing, mashed potatoes, macaroni and cheese, many kinds of vegetables and salads and breads. Plus the desserts! Pies, cakes, cookies and cupcakes! The desserts last year were amazing and I did not even get to try them all! What I am hoping to do is have a similar type of sign up as we did for the summer party. If you can make a dish, any dish, please let me know and I will add you to the master food list. You can email me at [email protected] just give me your name and which dish you plan to bring. I will coordinate the list and update the group as to things we may need. We are cooking for 200 party goers but don’t let that scare you! I am not trying to get one person to make all the food, but rather I am hoping we can get many members to make a single batch that when added all together will be our feast! If you can make a large batch (or even a small batch) of any of the above items I want to hear from you! http://pacificgravity.com/wp-content/uploads/2015/01/pg_logo.png 0 0 ifraser http://pacificgravity.com/wp-content/uploads/2015/01/pg_logo.png ifraser2009-11-24 17:39:222009-11-24 17:39:22Holiday Party; We Need Your Help! Latest word from the printer is that the new shirts will be ready in time for November’s meeting! Get to this month’s meeting and bring your wallet! Just in time for the holidays we’ll have lady’s (American Apparel) sizes S, M, L in short sleeves and men’s (Hanes) S, M, L, XL, XXL, and even a few XXXL’s in short and long sleeves. (Sorry XXXL is short sleeve only). Outfit your whole crew!$20 for the short sleeves, $25 for long. Promote your club in style! 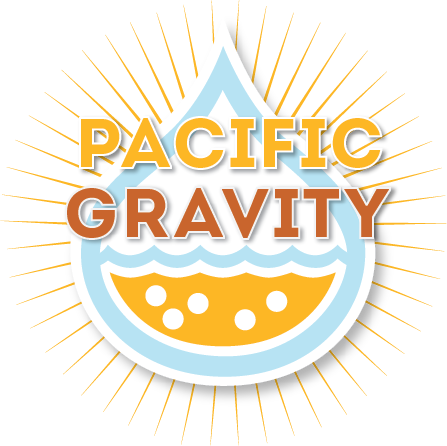 http://pacificgravity.com/wp-content/uploads/2015/01/pg_logo.png 0 0 Brian Holter http://pacificgravity.com/wp-content/uploads/2015/01/pg_logo.png Brian Holter2009-11-16 16:35:332009-11-16 16:35:33New PG Shirts Arrive! Ahh, a crisp sunny day in fall. What better way to spend it than teaching some friends how to brew? That’s just what a dozen PG brewers did on Saturday, November 7th, the official Teach a Friend to Homebrew Day as designate by the American Homebrewers Association. The annual PG Holiday Party is almost here, this year to be held on December 12. This will be a first for the club, holding the party on a Saturday. This will guarantee a great turnout, lots of beer, food, and fun for all. The Great Gathering takes the place of our monthly Club meeting, so that club members don’t have to miss celebrating the holidays with their families. For those new members, and there are many of you reading this, the Holiday party is as good as the Summer Party. There are a few differences, though. This is not a kid friendly event. The party is at night, a lot more crowded and noisy, and there is nothing for a child to do, except be stepped on. Once again, Neil Saund is graciously allowing us to hold the party at his empty duplex in Del Rey. We’ll have our usual line up of incredible appetizers, fabulous main courses, and succulent desserts. Four batches of Carbonnades a la Flamande, each featuring a different beer, are being cooked, to be scarfed up by members and guests. We hope no one will be too “stewed” to eat it. We’ll be having Baked Hams, for you porkers among you. Fried turkeys will be cooked and gobbled up. A most special surprise treat, by Club Chef Ian Fraser, will be served right on ‘cue for those of the bovine persuasion. In addition to the above, we count on YOU to also bring food, beer, soda and any other homemade or purchased beverages you can think of. The Club depends on the membership and its guests for making the party a complete success. Appetizers, snacks, salads, sweets, and desserts are more than welcome. They are actually needed! We also need volunteers for set up, and clean up. Those who arrive early get first beer tastings, and those who stay late, get to pick over the leftovers, which usually include some late night brews. We will be setting up on Sunday, Dec. 6 around 12-4, and again on Saturday Dec. 12 in the early afternoon. Cleanup is Sunday morning, around 10. If you don’t know what to bring, contact me or PG Prez Craig Corley for hints. The Board of Directors wants to wish you all a wonderful Holiday Season. May Gambrinus be with you. Time: 7:00pm. The party ends when the last one out locks the door. http://pacificgravity.com/wp-content/uploads/2015/01/pg_logo.png 0 0 Brian Holter http://pacificgravity.com/wp-content/uploads/2015/01/pg_logo.png Brian Holter2009-11-13 21:41:182009-11-13 21:41:18It’s Holiday Party Time-Again! The November club meeting will be on Thursday, November 19th from 7:30 p.m. to 10:30 p.m. at Culver City Home Brewing Supply. We’ll be featuring Brown Ales and Porters as our style of the month and as always; we’ll have some homebrewed examples on tap to complement our monthly commercial style tasting (volunteer kegs are welcome). Lee and Andrew Bakofsky will be guiding us on a tour of Brown Ales and Porters for our style tasting. Please remember to bring some of your homebrew to share with us. While you’re at it, bring some of your friends and maybe some new members. As always we’ll be giving away lots of club swag and beer/brewing related goodies (donations welcome) in our monthly raffle. The November meeting will feature our annual election of club officers and the club member of the year. We will be voting for President, Vice President and Treasurer. In addition, we will be voting for the prestigious honor of Club Member of the Year with the results of this ballot to be announced at our Holiday Party on December 12th. See Annual Club Elections for more details. We’re planning on having the new club tee shirts with our new club logo on hand. If you pre-ordered a shirt we’ll have yours set aside for you to pick up and if not, we’ll have extras available, but you’ll probably want to pick one up before we run out of your favorite size/style. Nominations were accepted at the October meeting and we’ll be holding our annual elections for the Club Board and the Club Member of the Year award at the November club meeting on Nov 19th. The 2010 Club Board will have a slightly different look since Club President, Craig Corley has decided its time to take a break from running the club. Drew Butler and the team of Peggy Robinson & Nathalie Caldwell were nominated to replace him as club president. Dan Hakes was re-nominated as Vice President and Craig Corley was nominated for Treasurer. The remaining board positions are appointed and will include Carl Townsend returning as Competition Coordinator, Mike Steinberg returning as Activities Director, Ian Fraser rejoining as Club Chef, Thomas Lee Bakofsky & David Stickel returning as Webmasters, Terry Malloy joining as Fund Raiser, Dean Sussman joining as Style Tasting Coordinator, Josh Jensen returning as SCHBF representative, and Tomm Carroll returning as a newsletter columnist. While this is an impressive roster of club members, we’re always looking for new faces to get involved, contact Craig Corley at [email protected] if interested. Six club members were nominated for the 2009 Club Member of the Year award. This award recognizes and honors significant contributions and involvement by club members. The members nominated at the October meeting include Lee Bakofsky, Craig Corley, Dan Hakes, Jon Porter, Neil Saund, and Dean Sussman. Selection of the Club Member of the Year will be done by secret ballot and the results will be announced at our annual Holiday Party by last years winner, Larry Caldwell.